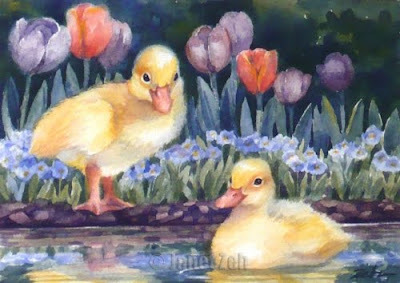 First Swim: A pair of ducklings takes to the water for the first time in a garden pond. This is a perfect piece both for the young and the young at heart! Find my animal art for children for sale at Zehland.Etsy.com. Thanks for visiting and enjoy your day!